Basic bedding calls for these essentials: a fitted sheet stretched over your mattress, two pillowcases, and a big, snuggly duvet to ward off that evening chill. You can take or leave a flat sheet. It adds a hygienic layer between your bed’s topper and some much-needed breathability in the summer, but whether you use one or not is totally up to you. Is your bedding set missing something? Don’t sleep on it. Read our full Bedding Essentials Guide to learn all the bedding basics, from quality to materials. This how you really make a bed. Think about each bedroom in your home and who sleeps there. Will a firm pillow give them a crick in their neck? Go with a pillow that’s flatter and softer. Is your partner sweating or shivering beside you? Throw in a top sheet for whoever needs it. Not sure your kids’ bedwetting days are behind you? Better get a mattress cover. Do your travel-weary guests have any allergies that would make their stay less relaxing? Opt for dust mite-proof materials, like cotton. Can nobody be trusted to make their bed? Take away the extra pillows and sheets so they have less to deal with. A variety of factors will affect how you choose your bedding thickness, filling, and the number of pieces in each bed set. To personalize the type of bedding for each sleeper’s habits, read our guide to the Best Bedding for Every Bedroom. This is where bedding feel and style meet. Maybe you’re more of the early-to-bed-early-to-rise type and a snuggly cocoon just won’t do. You want flat, folded, low-maintenance bedding that means business. 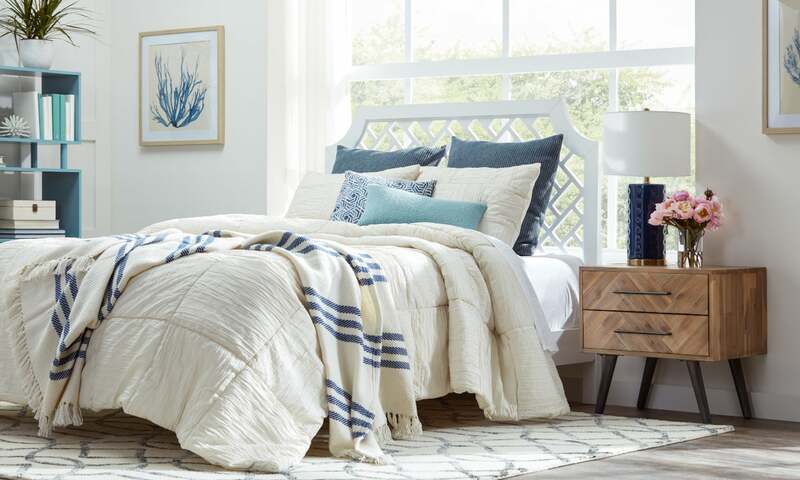 Go with the bare bones bedding essentials to keep things smooth and symmetrical, and stay with a monochromatic color scheme to enjoy that classic simplicity. If you can tuck the bedding into a low-profile bed frame, so much the better. For bedding with a lot of personality (and flexibility), add plenty of layers and use mismatched colors and patterns. Pull in other decor elements, like a textured headboard, to get you closer to your free-flowing vision. Having a hard time figuring out a look you love? 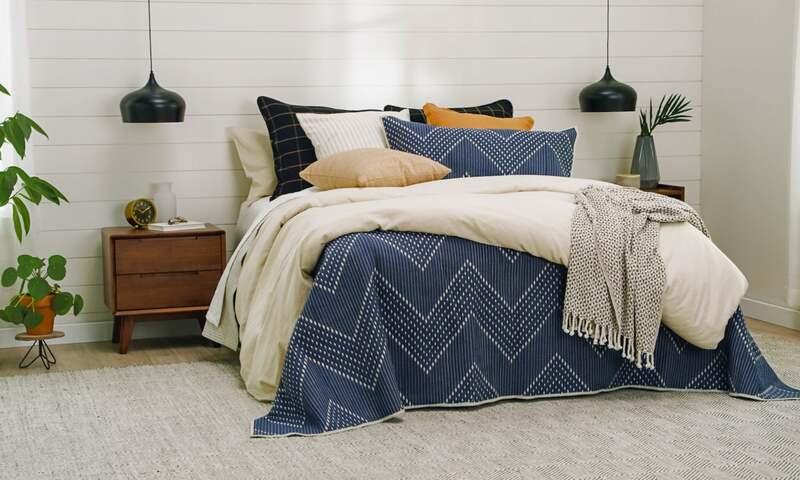 Check out these 9 Popular Bedding Trends and see if anything catches your eye. You can’t put a price on a good night’s sleep, but whether you splurge on fancier fabrics or save by buying affordable bedding is up to you. You can get quality bedding and avoid overspending by going with a “bed in a bag” set. Ordering a “bed in a bag” might sound like a fast food deal, but it’s a great way to get that luxe look for less. A bundle comes with all the bedding basics and guarantees your bedding set will match, which saves you the hassle of searching through overpriced single items. Need covers for a steal? Look over our best bedding offers and pricing recommendations in our Guide to Affordable Bedding. Temperature and humidity can completely change what you want out of bedding and how you interpret a good night’s sleep. 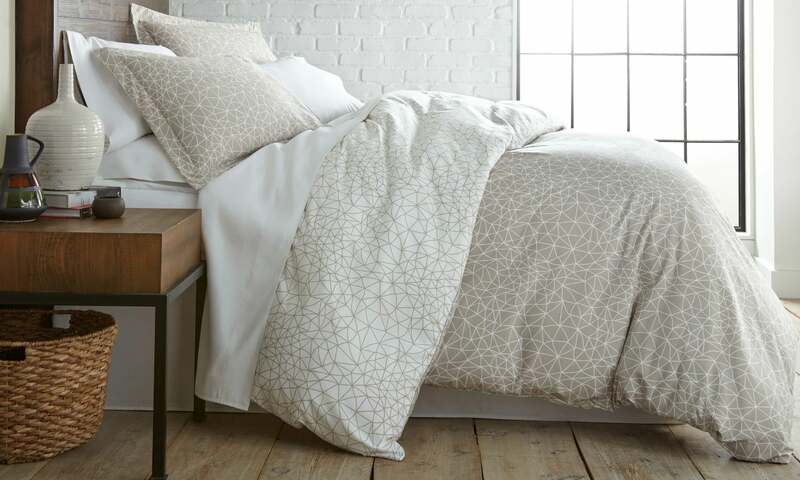 Refresh your bedding with seasonal changes to keep your bed comfortable and stylish. For something light and serene, try breezy, neutral linens. When your bed needs a winter coat, keep plenty of blankets and flannels stowed nearby. To get year-round transitions just right, read our full guide to Seasonal Bedding. Whether you sleep by yourself, with a partner, or with a pet, you can’t escape your bedding getting dirty. 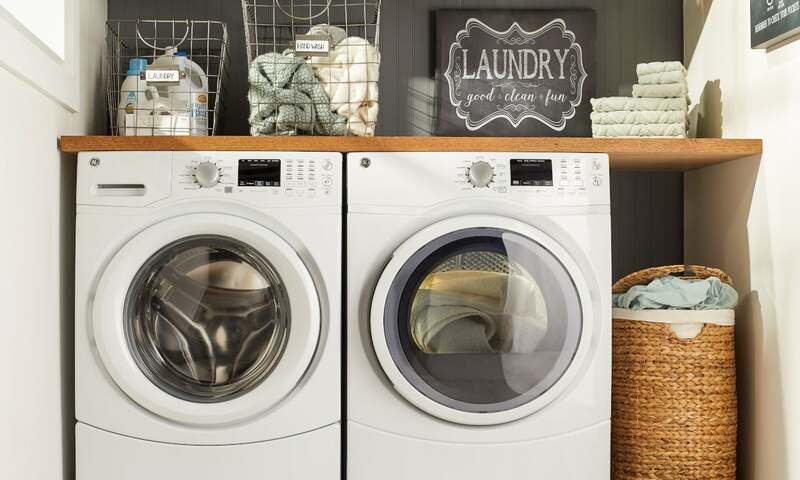 Even if you use patterned bedding or dark-colored sheets eventually they’ll need a good washing. To avoid lots of laundering, have extra bedding sets on hand. Other necessities to keep on hand? Lemon juice, vinegar, and baking soda. These natural cleansers will help you fight unwelcome stains and scents. Keep stains from being a worry at all when you add a mattress cover to your bed. A mattress protector might sound like overkill, but it’s a small investment that can save you big in the long run. Already filled out your bedding ensemble? Don’t let it wear out before its time. 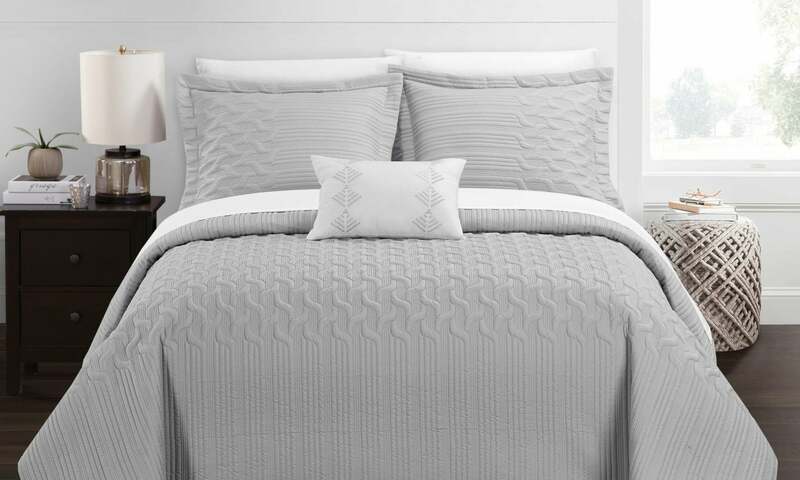 Read our guide for answers to some of the most common questions about Bedding Care & Cleaning. Feel like a bedding expert? Check out our selection of comfortable and stylish bedding that will have you counting your blessings instead of counting sheep.